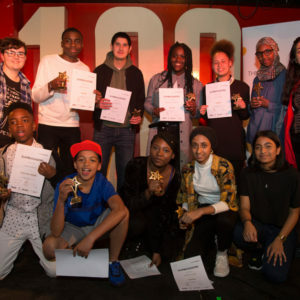 Congratulations to all the winners of SLAMbassadors 2016; Ana, Zubeyda Elmi, Aislinn Evans, Neha Singh, Maya Sourie and Globe Poets – Joshua Adeyemi, Tasnima Ahmed, Halil Ibrihim Es, Zareen Roy-Macauley and Sharon Machisa. This year we introduced a new prize, in memory of Thomas Crosbie (also known as PACE or Cold Fire) who was a SLAMbassadors winner in 2003. 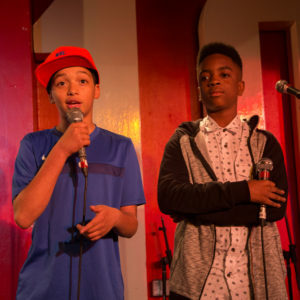 The first winners of the Cold Fire Award, Cameron Sweeney-McIntosh and Asukyle Brown, performed at the 2016 showcase with Naga MC. 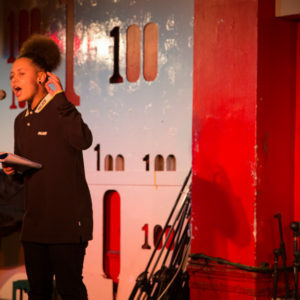 The 2016 showcase took place at London’s legendary 100 Club on 30 October and featured headline performances from Lemn Sissay and SLAMbassadors Artistic Director Joelle Taylor. 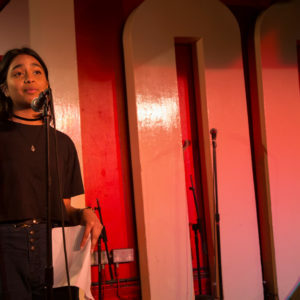 Videos of the winners’ poems here. 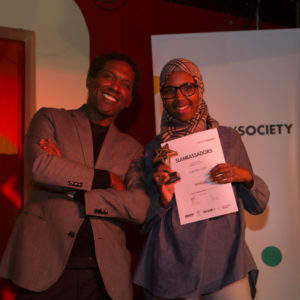 Lemn Sissay and Zubeyda Elmi. 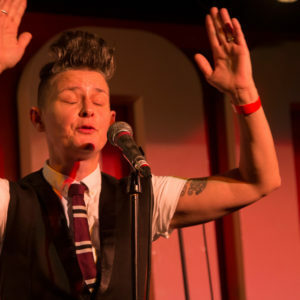 Photo: Christa Holka for The Poetry Society. Ana. 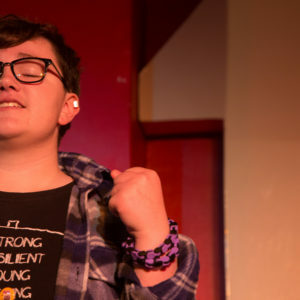 Photo: Christa Holka for The Poetry Society. 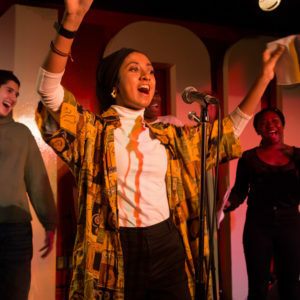 Halil Ibrahim Es, Tasnima Ahmed and Sharon Machisa of Globe Poets. Photo: Christa Holka for The Poetry Society. 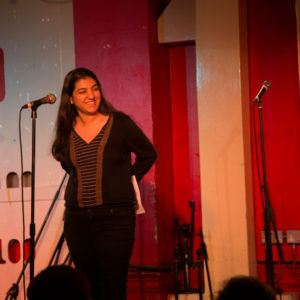 Zareen Roy- Macauley of Globe Poets. Photo: Christa Holka for The Poetry Society. 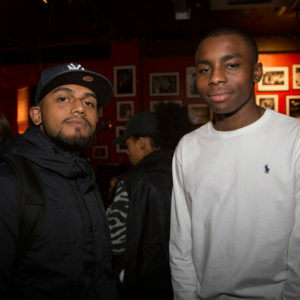 SLAMbassadors winners 2016. Photo: Christa Holka for The Poetry Society. 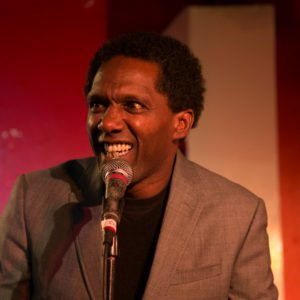 Headline act Lemn Sissay. Photo: Christa Holka for The Poetry Society. Winners of the first Cold Fire Award: Cameron Sweeney-McIntosh and Asukyle Brown. Photo: Christa Holka for The Poetry Society. Aislinn Evans. Photo: Christa Holka for The Poetry Society. Naga MC and Globe Poet Joshua Adeyemi. Photo: Christa Holka for The Poetry Society. 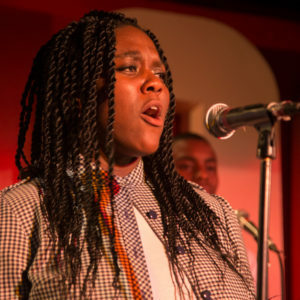 Joelle Taylor, Artistic Director of SLAMbassadors. Photo: Christa Holka for The Poetry Society. Neha Singh. Photo: Christa Holka for The Poetry Society. Maya Sourie. Photo: Christa Holka for The Poetry Society.